Decorating with throw pillows may seem like a small part of the design process, but that couldn't be further from the truth. They're the best way to elevate a house to a home. Even though they are soft and comfortable, they're not all fluff. When it comes to living room seating, hallway benches, and pretty much anything in the bedroom, adding a throw pillow will pack a ton of punch and bring out the subtle design features of the space. In order to harness the full potential of these decorative do-gooders, we've rounded up a few tips that will make the styling process a lot easier. From color schemes to arrangement formulas, this set of styling suggestions will have you decorating with throw pillows like a pro in no time. Even better, we're including plenty of visual aids alongside each tip to guide you through the process and provide a little design inspiration if you're feeling lost. Scroll through to get the full details. If there's a piece of furniture in your room that brings in a pop of color, make sure the rest of the room highlights it without outshining it. 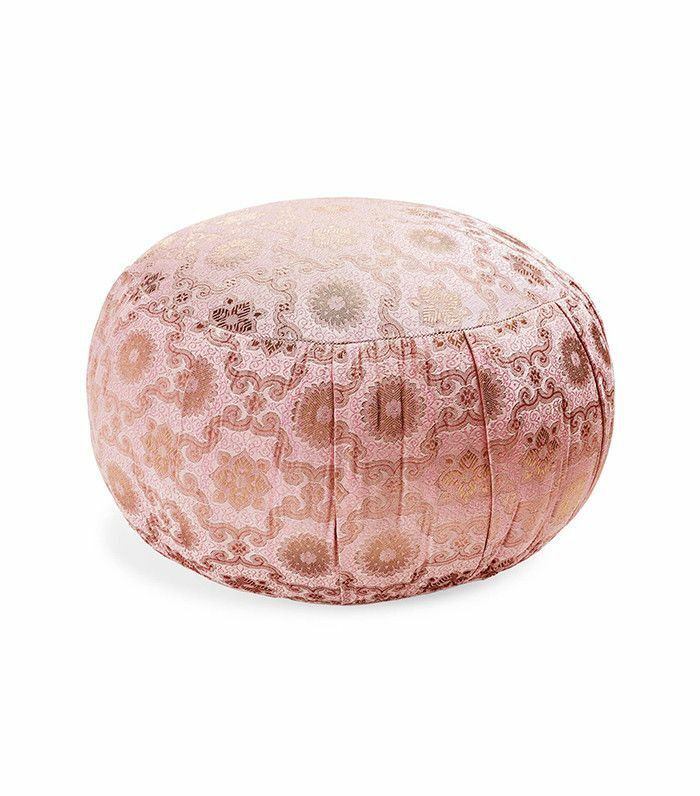 In the example above, the soft rose gold accents and striped linen pillows pick up on the tufted raspberry ottoman. This makes the overall look much more cohesive. But to keep things exciting, there's also a cool new color introduced to the pallet vis-à-vis the printed square throw pillows. Their steel blue details contrast with the anchor color and accentuate the light gray paint in the kitchen. A solid pillow in a gorgeous shade of steel gray–meets-silver is a great candidate to add to the supporting lineup on the sofa. It's understated, but it also has a personality of its own. By mixing and matching styles and prints, you'll elevate the intrigue to keep the eye engaged. This vignette is the perfect example for decorating with throw pillows of different styles. You have your graphic chevron print, a few neutrals for balance, and then, for the standout, a floral-print pillow that ties in most of the colors in the room. Again, when choosing your throw pillows, it's best to think of them without the context of the entire space. So you can see how some of these pillows flatter the crisp white walls while others are flattering the blue cushion and carpet. Together, they also bring out the natural textures of the hardwood floor and stone wall. As you can see, these pillows are also artfully curated in their own right, so the artwork above is a more muted tone. Throw pillows can be art, too! 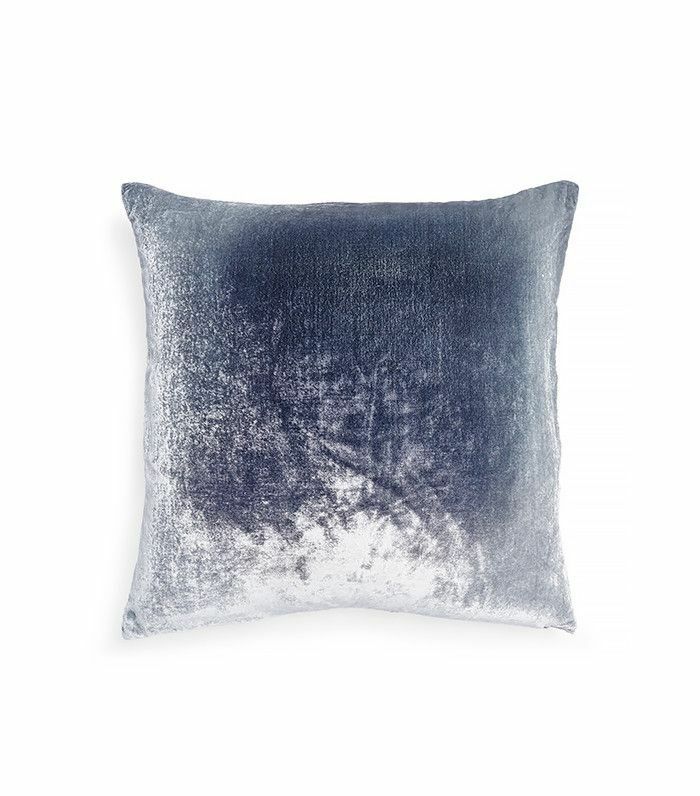 Incredibly stylish and versatile, a pillow like this one will be great to throw into any décor mix, thanks to the neutral colors. Talk about eye-catching. When you deconstruct the room and break down the design elements of each item, it's hard to imagine how they all work together so well. The answer lies within the decorative throw pillow, of course, as its mustard print details reconcile everything. Notice how each piece is unique in shape, style, and size. Thanks to the tiny seat with an angular base, organic stool, disc-like lamp, and triangular table, this bedroom gives quirky proportion play a whole new meaning. The lesson? Don't shy away from experimenting, and never underestimate the power of a pillow. If you want to play with shape and proportion, opt for a round cushion that can either break things up with traditionally shaped pillows on a sofa or chair or use it as a floor cushion. This living room achieves a thoroughly grown-up look without sacrificing all of its childlike excitement. How? No two pillows are alike, which keeps the aesthetic warm and playful. If you imagine this room without the throw pillows, it may feel more formal and harsh, which can be just as beautiful—it really just depends on what kind of environment you'd like to create. We love how every seating option in the room has a throw pillow on it. Not only will the lumbar pillows on the chairs ensure that guests get all the back support and comfort they deserve, but it also maintains the edgy style. 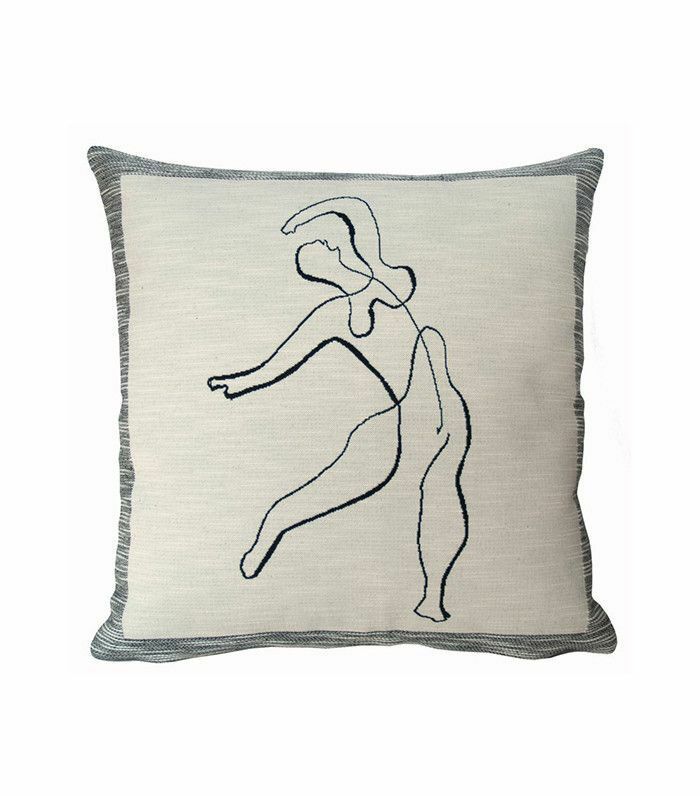 This is a great throw pillow to decorate with since it offers both whimsy and elegance. Once you've got all the right pillows, you should also spend some time thinking about how you'd like to display them to get the most out of their décor potential. If you like the look of asymmetry, try an arrangement that looks more random and effortless. This symmetrical approach is another great option, particularly well suited for bedding. Layer up your throw pillows like the example above. Try keeping the neutral sleeping pillowcases in the back and let the more exciting throw pillows take center stage. Feel free to break outside the bedding set, too, if you'd like to introduce wilder prints into the mix. We'd definitely like to show off this crowned jewel front and center for a royal statement. For another bedroom look that's totally different in color but on the same page regarding symmetry, consider going colorless. Since a bedroom is the space in a home that feels the most personal and relaxing, comfort should be prioritized over style. But the two don't need to be in competition either. Transforming your bedroom into a sanctuary is all about channeling an environment that inspires and calms you. If bright colors overwhelm you or you simply resonate with neutrals more, you can still allow your personality to show through with things like texture, material, wall art, and shape. This is a great throw to break up a busy collection of throw pillows. On its own on the bed, or in the living room, this pillow can make a room go from chaotic to calm. Considering how perfect this little corner is, it's no surprise that interior designer Amber Lewis is the mastermind behind it. We love how she turns an unsuspecting corner into a chic little nest. 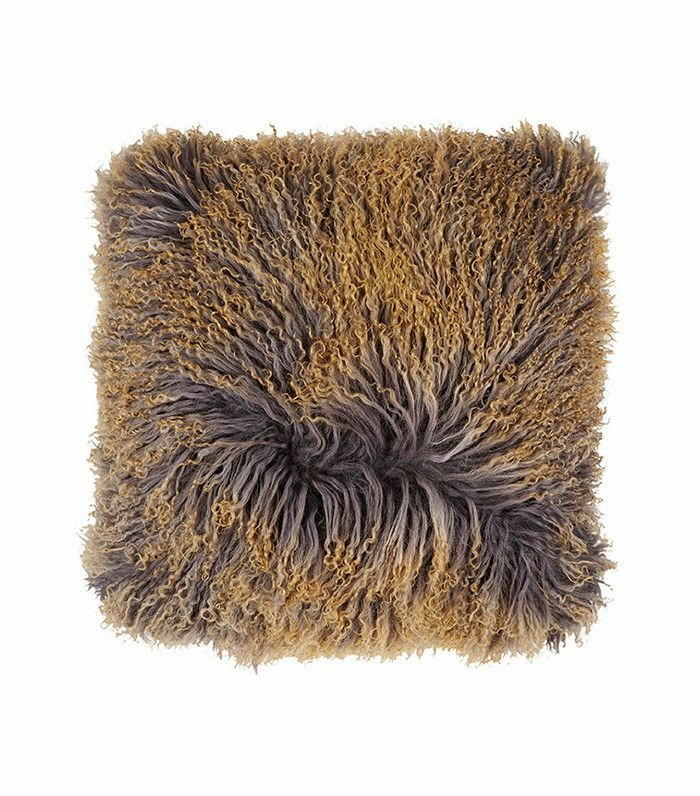 A shaggy fur or faux-fur pillow is a great option to stand on its own atop a chair in a lackluster room, in a random nook, or in an entryway that feels empty. Its fun texture makes it the perfect way to achieve a wild aesthetic outside of color, print, and shape elements. And it doesn't get much softer, so pair it with a blanket to create an extra cozy atmosphere. The color wheel seriously pulled through with this combination. It may be our new favorite for neutral but high-impact color duos. This was originally published on January 13, 2017, and has since been updated.